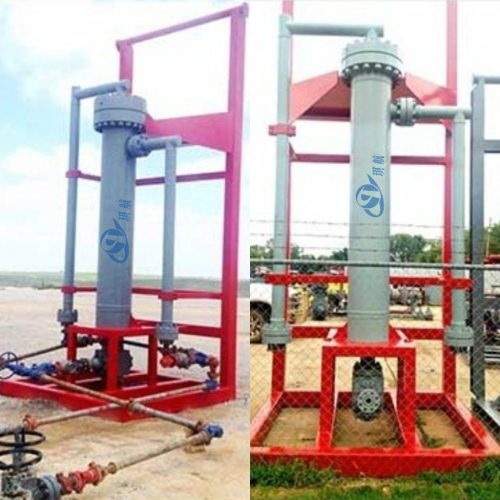 API 6A Sand Knock-Out, also known as Sand Trap, Sand Catcher, Sand Filter, or Sand Separator, which enables separation of solids from gas during flowback and completion operations. 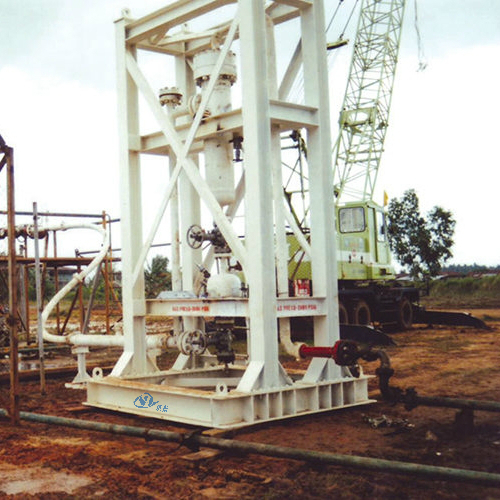 Qihang's Sand Knockouts are engineered to safely and efficiently separate solids from gas during flowback and completion operations. 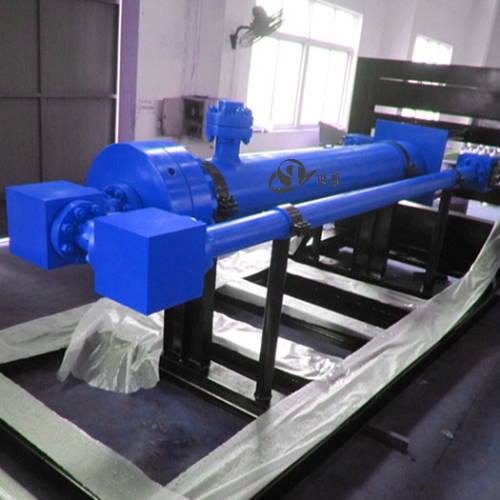 The proprietary sand knockout is designed to allow entrained solids to be removed upstream of flowback and production equipment, hence reducing damage and costly repairs. 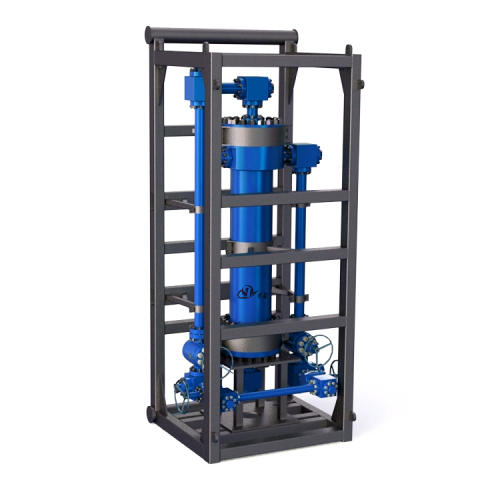 Sand Knockout Assemblies are typically manufactured with inside diameters ranging from 10" to 16-3/4" and working pressures ranging from 5,000psi to 15,000psi. 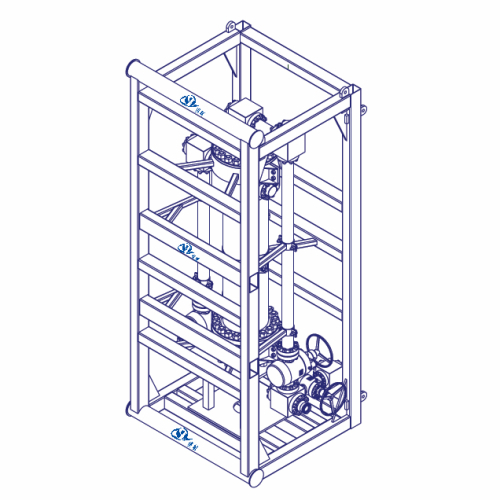 Sand Knockout Assemblies can be supplied as bodied only to full assemblies, bypass valve lines and skids. Internal baffle plates are simple yet rugged and reliable design that provides a long life span and easy replacement. Our Sand Knock-Outs are fully designed, manufactured, and tested in accordance with API 6A standards. 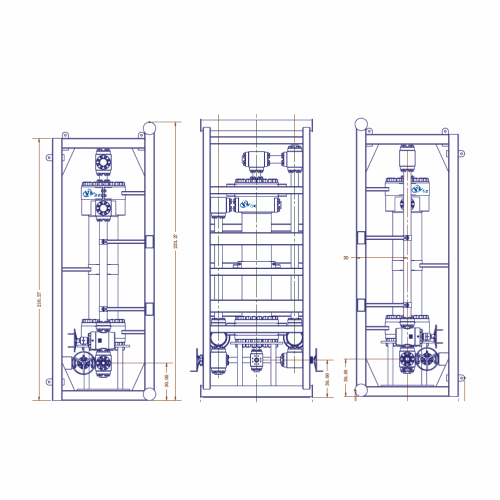 We can also design and produce sand knockouts according to customers' specific requirements. 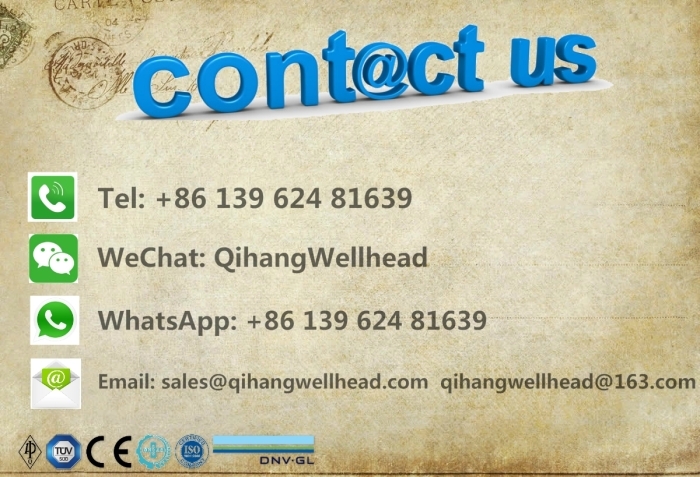 Qihang produces Top Quality API 6A Sand Knockouts at Truly Competitive Prices.